CANMORE - Team South went wire-to-wire as the tournament’s top team to win the 2017 Alberta Cup. 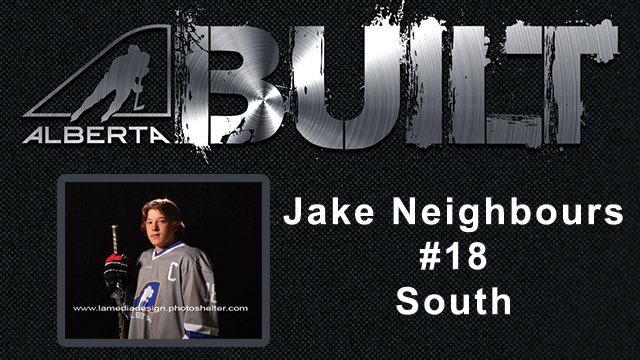 South went undefeated (4-0-1) through the tournament, and clinched the Alberta Cup with a 5-1 win over Northwest. It’s the second straight win with two different teams for South Head Coach Jamie Steer. Steer won the 2016 Alberta Cup with Calgary South, exactly 30 years after he won the very first Alberta Cup as a player with the same team. The win is a special one for forward Ridly Greig as well. Greig’s dad, Mark, won the Alberta Cup with Calgary North in 1987. Now, 30 years later, the former NHLer watched his son hoist the very same trophy. Defending champion Calgary South still earned a spot in the top three this year, as a quick two-goal outburst late in the third and two empty-netters gave them a 6-2 victory over Edmonton Yellow in the B Final. Team South finished third in the tournament, beating Calgary North 4-1 in the B Final. Earlier in the day, Northeast used a five-goal third period to defeat Central 6-1 in the C Final, while Edmonton Blue broke a 4-4 tie with 40 seconds left in the game for a 6-4 win over Calgary North in the D Final. 2017 is the third and final year of the Alberta Cup in Canmore. Spruce Grove will host the Alberta Cup in 2018. 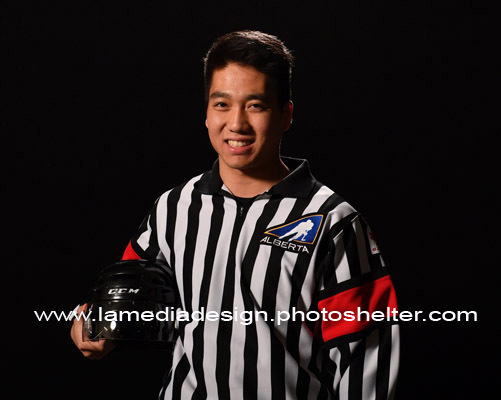 CANMORE - Hockey Alberta is pleased to announce the 2017 Alberta Cup All-Stars, and the 2017 All-Star Official. The tournament All-Stars and All-Star Official were announced Saturday night at the Alberta Cup banquet at the Coast Hotel in Canmore. All-Stars were voted on by WHL scouts and Team Alberta staff. CANMORE - The final match-ups are set, and Team Northwest and Team South will go head-to-head in the 2017 Alberta Cup final on Sunday. There will be no three-peat for Calgary South, as Northwest punched their ticket to the final with a decisive 9-3 win in the first semi-final game, while South edged Edmonton Yellow 2-1 to close out the day. Calgary South and Edmonton Yellow will play in the B Final. Earlier in the day, Central and Northeast secured spots in the C Final, while Edmonton Blue and Calgary North will square off in the D Final. (From left) Mark and Ridly Greig, Jake and Geoff Sanderson, and Brayden and Brendan Morrison. CANMORE - A trio of former NHL players can be found in the stands in Canmore this weekend, watching their sons play in the 2017 Alberta Cup. Geoff Sanderson, Brendan Morrison, and Mark Greig all have the opportunity to cheer on their sons Jake, Brayden and Ridly, as they compete for the Alberta Cup with Team South. For Greig, the tournament is a blast from the past, as he won the 1987 Alberta Cup with Calgary North. Now, 30 years later, he’s in the stands, hoping his son Ridly can do the same. 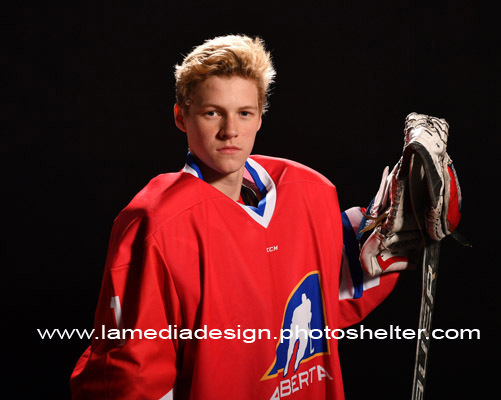 Sanderson’s older son, Benjamin, also played in the Alberta Cup in 2015. Greig’s daughter, Dara, played for Team Alberta’s U18 Female team in 2016. CANMORE - After another busy day of hockey at the 2017 Alberta Cup, round-robin play wrapped-up, and the standings are now set heading into Saturday. After going undefeated (2-0-1) through round-robin play, South locked up first in Pool A. Northwest claimed the other semi-final spot, finishing 1-1-1, while Calgary North and Edmonton Blue finished third and fourth, respectively. With a pair of wins on Friday, Calgary South rebounded from a Day 1 loss to finish at the top of Pool B. Edmonton Yellow also finished with two wins, but finished second as Calgary South won the tie-breaker. Northeast finished in third in Pool B, and Central fourth. Saturday kicks off with Central and Calgary North playing in the first C/D Semi-Final at 9:00 a.m., and Edmonton Blue and Northeast in the other at 9:30 a.m. Northwest and Calgary South battle in Semi-Final 1 at 11:45 a.m., and Day 3 closes out with the other Semi-Final game between Edmonton Yellow and South at 2:15 p.m.
Edmonton Yellow defenceman Luke Prokop is one of four athletes playing in the Alberta Cup whose brother played in Team Alberta’s U16 program. CANMORE - For four athletes participating in the 2017 Alberta Cup, they have a unique opportunity to mirror the accomplishments of their older brothers. Peyton Mckenzie (Northeast), Garin Bjorklund (Calgary South), Kaiden Guhle (Northeast) and Luke Prokop (Edmonton Yellow), are all following in the footsteps of their siblings: Skyler, Paycen, Brendan and Josh. Not only did the four older brothers play in the Alberta Cup - they all went on to play for Team Alberta’s U16 team: Brendan in 2012, Skyler in 2013, and both Paycen and Josh in 2015. All four won gold at the Western Canada U16 Challenge Cup in their respective years. For Peyton, Garin, Kaiden and Luke, they’re all looking forward to following in their brothers’ footsteps, and hope to use their experiences to make the next step in the Team Alberta program. CANMORE - After a busy first day of the 2017 Alberta Cup in Canmore, six of eight teams came away with points. South sits on top of Pool A after a tie and a win, with Edmonton Blue and Calgary North just behind with two points each. Northwest earned a single point on the day with a tie and a loss. In Pool B, Edmonton Yellow and Central each won their only games of the day, defeating Northeast and Calgary South, respectively. 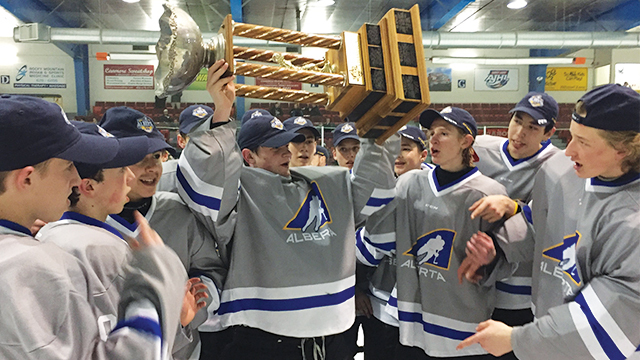 CANMORE - For many of the 2002-born athletes taking to the ice in Canmore this week, the 2017 Alberta Cup isn’t their first taste of Hockey Alberta’s Team Alberta program. Many players were a part of the inaugural Peewee Prospects Cup in 2015, and are the first group to play in the Alberta Cup after taking part in the new program. Joe Hawkins (Edmonton Blue), Cole Carrier (Edmonton Yellow), Ronan Seeley (Central), Noah Danielson (Central), and Steven Ewaskiw (Assistant Coach, Northwest) shared their experiences at the Peewee Prospects Cup, and how it helped prepare them for the Alberta Cup. Hawkins and Ewaskiw were both part of the Edmonton Green team that won the 2015 Peewee Prospects Cup. CANMORE - For the third straight year, the Rocky Mountains will be the setting as Canmore hosts the 2017 Alberta Cup. Some of the top 2002-born male hockey players in the province will go head-to-head, with eight teams will taking to the ice at the Canmore Recreation Centre from Thursday to Sunday. The teams include Calgary North, Calgary South, Edmonton Blue, Edmonton Yellow, South, Central, Northeast and Northwest. RED DEER - Alberta is well-represented on the National stage this week, as the St. Albert Slash and Leduc Chrysler Oil Kings compete in the Esso Cup and Telus Cup, respectively. The St. Albert Slash (Midget Female AAA) of the Alberta Female Hockey League are representing the Pacific region at the tournament, and are already off to a hot start. The Slash opened the Esso Cup Sunday afternoon in Morden, MB with a 6-0 win over Mid-Isle Wildcats, who are representing the Atlantic. The Leduc Chrysler Oil Kings kick off their quest for the Telus Cup tonight against the host Cariboo Cougars in Prince George, BC. The Oil Kings earned the right to represent the Pacific region after winning the Midget AAA Provincial Championship. With their opponent in the Pacific Regional Championships being the Cariboo Cougars, the Oil Kings automatically advanced to the Telus Cup. RED DEER - Alberta males born in 2004 have the unique opportunity to participate in the second annual Hockey Alberta Peewee Skills Camp, hosted by the Team Alberta program. The camp takes place in Calgary at the Don Hartman Sportsplex on June 23-25. This Skills Camp will focus on skill development, checking skills, proper training techniques, and will provide athletes with information about the Team Alberta process. The camp also includes a Team Alberta/Alberta Built presentation, a Long-Term Player Development Session, and will wrap-up with a full three-period game. Goaltenders will also have an on and off ice skills session. The maximum capacity for the camp is 160 athletes. Registration is on a first-come, first-served basis. For more information about the Team Alberta Peewee Skills Camp, please contact Dustin Moore, Coordinator, Team Alberta. The Leduc Chrysler Oil Kings celebrate their Midget AAA Provincial Championship win on home ice in March. The Leduc Chrysler Oil Kings are about to begin their quest for the Telus Cup. But, the road to Prince George was anything but easy for the Midget AAA team. The Oil Kings finished third in the Alberta AAA Midget Hockey League season with a 14-15-5 record. From there, the team went on an impressive run through the AMHL Playoffs, claiming the Midget AAA Provincial Championship. They now find themselves ready to compete for a national title. The Leduc Chrysler Oil Kings aren’t your typical Cinderella story. Expectations were high coming out of the gates with new coaching staff, four returning players, and a very well-rounded batch of incoming players. With a tough schedule to begin the season, they got off to a mediocre start, playing to a 4-6-0 record in the first month. Goals were hard to come by, and under new systems and philosophies, there was a sharp learning curve to adjust to. Adding to the adversity, Carson Lux (one of four returning players, and team Captain at the time) got the call to take the step up to Drayton Valley in the AJHL. November was more of the same, with offensive woes being the story, and the team’s record fell to 6-10-1. But the month was not without its ups, with Dillon Hamaliuk returning to the team after a late roster move by Seattle in the Western Hockey League. With the Macs Midget AAA tournament in Calgary looming, and with a goal that was set early in the year to play in the Macs, December was a turning point in the season. The Oil Kings started finding their stride. Improving to a 3-1-2 record for the month (9-11-3 for the season), and boosting their offensive efforts, they solidified their place in the Macs. With the Macs Tournament being a goal early on, the Oil Kings knew the competition was stiff and they had to raise their level of play. Great leadership and the close-knit nature of the club helped guide them to a 2-1-1 record in the tournament, narrowly missing the playoff rounds. But, a disappointing result for a very well-played tournament didn’t hinder the resilient group heading into the home stretch of the season, and with a newfound belief in the ability of the team and its potential, the Oil Kings finished the season 5-4-2 (14-15-5 overall), good enough for third place in the North Division. The preliminary round of the playoffs was a hard-fought battle with the MLAC Beverly Optimists, where both games ended with a one goal differential, one of which was in overtime. A well-balanced attack, and a solid penalty kill was the story in the series, with 11 different players finding the score sheet, and going a perfect 9-for-9 shorthanded. Breydon Berthold led the way with two goals, including the series-winner. The early series sweep added a lot of confidence to the group as they moved into the second round against the St. Albert Tire Warehouse Raiders. A typical second-seed vs. third-seed battle, the series took all five games to decide, with four one-goal games, two of which went into extra frames. Exceptional resiliency (all three wins were come-from-behind) and penalty killing was once again the story for the series, allowing only one goal on 17 attempts, and adding a shorthanded marker. This set the stage for the North Division final against the top-seeded Sherwood Park Kings. A hard fought series from the start, which ended in two of three games requiring extra time, saw Easton Hesse assert himself as the leading playoff goaltender, stopping 113 shots in the three-game series, including a 49-save effort in the double-overtime game two. Once again the penalty kill group went a perfect 11-for-11 in the series, en route to a three-game sweep. Heading into the provincial finals against the CFR Chemicals Bisons, it was clear that this team started seeing themselves as a force to be reckoned with, and with two key injuries on the blueline, they were put to the test. With a game one victory thanks to another 24 save performance by Hesse, and a perfect 4-for-4 penalty kill night, the series came home to Leduc with the Oil Kings up one game to none. Three lead changes, eight different goal-scorers, and another 3-for-3 penalty killing performance later, the Oil Kings found themselves in their sixth overtime game of the playoffs. Tyler Smithies buried his fifth goal of the playoffs, and Brendan Morrow went 100% in the faceoff dot to give LJAC a commanding 2-0 series lead. Game three was nothing short of spectacular, as both teams exchanged prime scoring chances, and exceptional goaltending. The game went into overtime for the second time in a row, and seventh time in the playoffs for the Oil Kings. A phenomenal slap pass/deflection goal kept the Bisons alive, and for the first time, the Oil Kings had a chance to lock up a series at home. LJAC made history March 26, as they clinched game 4 in front of family and friends. Their heart, evident by a 5-2 record in overtime, an earth-shattering seven wins coming from behind, and 98% penalty kill effort was the difference in the post season, which saw them go 11-3 overall. Even with their backs up against the wall, they stayed positive, focused, and poised. They played for each other, were accountable to each other, and never gave up on anyone wearing the crest. Other teams may have walked into the dressing room going into overtime exhausted, and sore, and used that as an excuse to shed 1% of their effort, but not this group. Some may have used a heartbreaking overtime loss as an excuse to point a finger in blame, or try and change the game plan. But not this group. Stats aside, it took 23 players to win the league. 23 unwavering efforts. 23 hearts and 23 souls. Some call it a “Cinderella Story”. The LJAC Oil Kings call it hockey. RED DEER - Hockey Alberta is proud to announce the assistant and video coaches of Team Alberta for the 2017 U16 Male and U18 Female programs. Brandin Cote (Assistant Coach), Marian Gmitter (Assistant Coach), Alex Mandolidis (Video Coach), and Derek Purfield (Goalie Coach) will join Head Coach Spiros Anastas on Team Alberta U16 Male. Cote just wrapped up his first season coaching in the WHL, serving the 2016-17 campaign as an Assistant Coach with the Prince Albert Raiders. He’s been involved with Hockey Alberta in numerous capacities, and has coached in two Alberta Cups. 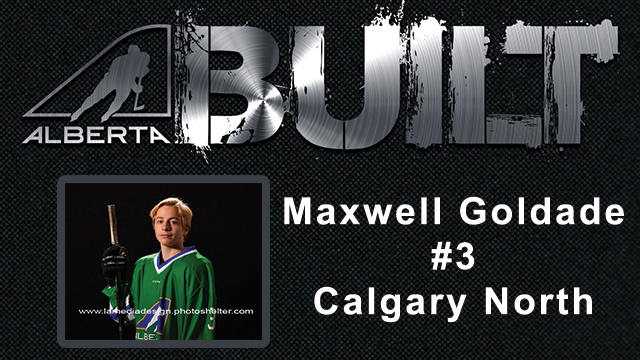 Gmitter is currently the Head Coach of the Calgary Midget AAA Royals. This year will mark Gmitter’s third time coaching in the Alberta Cup program, as he’s set to serve as the Head Coach of Team Central at the 2017 Alberta Cup. Mandolidis is the Head Coach of the Calgary Midget AAA Northstars. Like Gmitter, this is Mandolidis’s third time coaching in the Alberta Cup program, this year as the Head Coach of Calgary South. Purfield currently works for World Pro Goaltending, and also served as the Goalie Coach for the Okotoks Oilers (AJHL) and University of Lethbridge Pronghorns (CIS) in 2016-17. This will be Purfields third straight year with Team Alberta U16 Male, having previously served as the Goalie Coach for the 2015 and 2016 gold medal-winning teams. Along with the coaching staff, Curtis Arsenault (Athletic Therapist), Dave Campbell (Equipment Manager), and Jamie Porter (Head Scout), round out the Team Alberta U16 Male staff. Arsenault, from Lethbridge, is the Athletic Therapist for the University of Lethbridge Pronghorns, and has previous experience in the Team Alberta program at the Alberta Cup. Campbell just wrapped up his season as the Trainer for the Grande Prairie Storm (AJHL), and has served as a Mentor Trainer for Team Alberta in various camps and programs over the past five years. Porter is the Director of Hockey Operations for the Swift Current Broncos (WHL), and was the Head Scout for the 2015 and 2016 gold medal-winning Team Alberta U16 teams. Joining Head Coach Craig Perrett on Team Alberta U18 Female will be Cassea Schols (Assistant Coach), Bob Rutz (Assistant Coach), Sarah Hilworth (Video Coach), and Amanda Tapp (Goalie Coach). Schols is currently the Female Prep Head Coach at the Northern Alberta Xtreme Hockey Academy, and was also an assistant coach with last year’s Team Alberta U18 team. Rutz is the Head Coach of the Midget AAA Female Red Deer Sutter Fund Chiefs of the Alberta Female Hockey League. 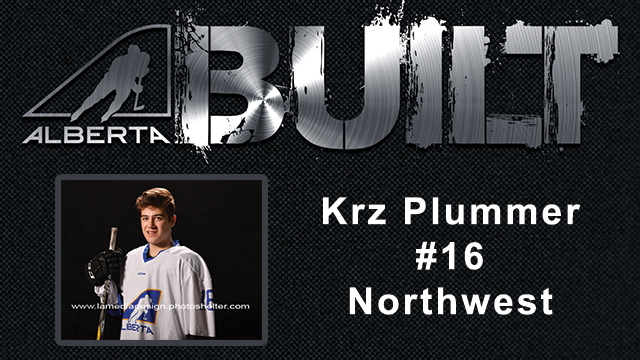 Rutz has previously served as a Head Coach and Mentor in various Team Alberta camps and programs. Hilworth has been the Head Coach of the Olds College Broncos since 2015. She’s been involved in both the U16 and U18 female programs over the past four years. Tapp is the Director of Female Development and the Lead Instructor at Top Prospect Goaltending. Tapp is a long-serving member of the Team Alberta U18 coaching staff, having served as the Goalie Coach for the past six years. Mercedes Eustergerling (Trainer), Brodie St. Jacques (Equipment Manager), Heather Osgood (Strength & Conditioning Coach), and Doug MacLeod (Head Scout) have also been named to the Team Alberta U18 Female staff. Eustergerling is the Owner and Physiotherapist at Vida Health & Wellness, and has been a Mentor Trainer for various Team Alberta camps and programs over the past three years. 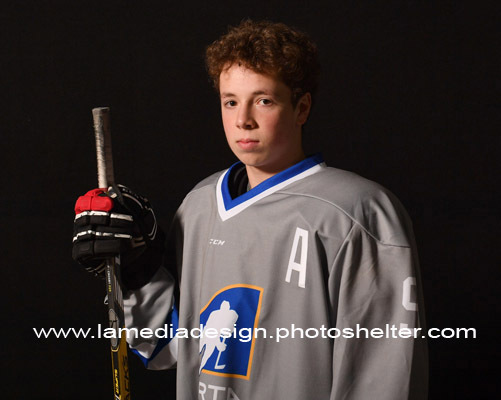 St. Jacques currently serves as the Trainer for the Maple Leaf Athletic Club’s Bantam AAA team. St. Jacques is set to serve as the Trainer for Team North Grey at the 2017 Alberta Challenge. Osgood is the Fitness Director at Vimy Ridge Academy, and has been a involved with Team Alberta for the past eight years. MacLeod, a Regional Scout for Hockey Canada’s Women’s Program, is entering his second year with Team Alberta U18 Female, and has previous coaching experience with Team Alberta as well. RED DEER – Hockey Alberta and the Alberta Junior Hockey League (AJHL) will host an elite development camp in July, looking to expand upon the success of the inaugural event in 2016. Eighty elite athletes from the Alberta Minor Midget AAA Hockey League (AMMHL) have the opportunity to participate in the AJHL Development Camp presented by Hockey Alberta, July 18-23, at the Edgeworth Centre in Camrose. Hockey Alberta works with AMMHL coaches on player identification, final player selections and invitations. The camp features 2001-born athletes who played in the AMMHL this year, and who are not currently on the protected list of a Western Hockey League team. The inaugural edition of the camp proved very successful as 14 players who attended in 2016 were signed to an AJHL White Card or affiliated to an AJHL team during the 2016-17 season. The camp provided an excellent opportunity for AJHL teams to evaluate and interact with the prospects. Players participate in on-ice activities that include six practices and four games, and off-ice and classroom sessions. There will be an AJHL presentation for athletes and parents, and at the conclusion of the camp, each player will receive a scout package and evaluation summary. For more information on the Alberta Junior Hockey League, go to ajhl.ca. RED DEER - Hockey Alberta is pleased to announce the rosters for the 2017 Alberta Challenge. Six teams will battle at the Olds Sportsplex May 3-7. The teams include three from the North (North Blue, North Grey, and North Yellow), and three from the South (South Black, South Green, and South White). Twenty 2002 and 2003-born female athletes comprise each roster, along with volunteers serving as head coach, assistant coaches, trainer, and director of operations. Rosters were selected based on performances at zone camps held April 7-9 in Fort Saskatchewan and April 14-16 in Olds. For more information on the Alberta Challenge, click here. ARBORG, MB - The Keystone Cup is on its way back to Alberta, as the Wainwright Bisons defeated the Beaver Valley Nitehawks in overtime to claim the Western Canadian Junior B crown. Wainwright went undfeated in round-robin play (3-0-2) to punch their ticket to the finals. The Bisons led 3-1 heading into the third period, but the Nitehawks forced overtime with two quick goals to open the final frame. With time ticking down in the first overtime period, Bryce Woodward scored the overtime winner, sealing the championship for the Bisons. The Keystone Cup win is the first ever for Wainwright, following its first ever Provincial Championship win just two weeks prior. The Bisons are the first Alberta team to win the Keystone Cup since the Blackfalds Wranglers in 2011, and the tenth Alberta team in the tournament’s 35-year history. RED DEER - Eight former members of Team Alberta’s U18 program have been invited by Hockey Canada to attend the 2017 Summer Strength & Conditioning Camp, which runs May 3-7 in Hamilton, Ontario. Abigail Benning (St. Albert), Codie Cross (Airdrie), Jess Healey (Edmonton), and Abagael Thiessen (Red Deer) are among the 30 development players attending the camp. Mairead Bast (Red Deer) and Karly Heffernan (Sherwood Park) were invited to the camp, but are unable to attend. Two members of the most recent Team Alberta U18 squad, Dara Greig (Lethbridge) and Courtney Kollman (Calgary) will attend the camp as part of the 50-player U18 camp roster. The focus of the camp will be entirely on off-ice sessions, which include dryland training, fitness testing, and physical and mental preparation. RED DEER - Hockey Alberta is pleased to announce the rosters for the 2017 Peewee Prospects Cup. Eight teams will take to the ice at the Nicholas Sheran Arena in Lethbridge on May 10-14, with 160 2004-born players ready to make their first step in the Team Alberta program. Two teams each were formed from Calgary, Edmonton, the North and the South. Twenty players comprise each roster, along with volunteers serving as head coach, assistant coaches, coach mentor, and director of operations. 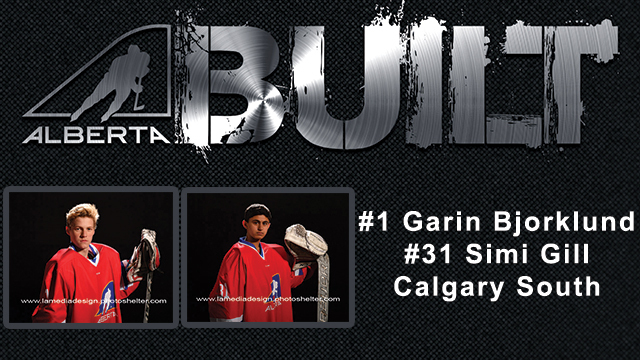 Rosters were selected based on performances at regional camps held April 6-9 in Stony Plain, Leduc, Olds and Calgary. The teams will play in a four-day, tournament-format competition. All Peewee Prospects Cup games are open to the public. The Hockey Alberta Foundation is excited to announce the next installment in the Every Kid Every Community Speaker Series, set for Saturday, May 13 in Lethbridge, featuring Jamie McLennan, Rob Brown and Jason Strudwick. The lunch event is in support of the Hockey Alberta Foundation’s Every Kid Every Community Program and the Lethbridge Minor Hockey Association, and will run in conjunction with the Peewee Prospects Cup. The event begins at 11:30 a.m., prior to the Peewee Prospects Cup semi-final games. 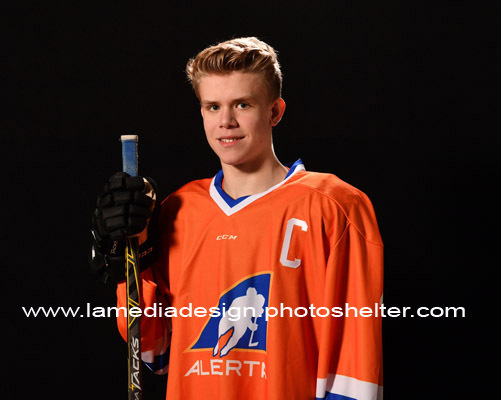 RED DEER – NHL Central Scouting has released its final rankings for the 2017 NHL draft, with a number of Albertans making a jump from the midterm rankings. 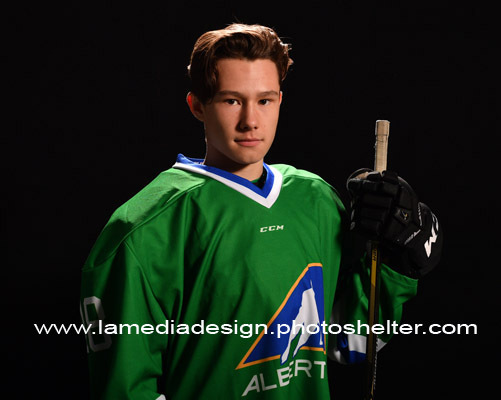 Cale Makar (Brooks Bandits, AJHL) remains the highest-ranked Albertan, moving up to number nine among North American skaters. Jaret-Anderson Dolan (Spokane Chiefs, WHL) jumped up 19 spots to 21, while Ian Mitchell (Spruce Grove Saints, AJHL) moved from 45 to 35. Two Albertans, Dakota Krebs (Tri-City Americans, WHL) and Skyler McKenzie (Portland Winterhawks, WHL), made their way on to the list after not being included in the midterm rankings, sitting at 153 and 176, respectively. A total of 20 Albertans made NHL Central Scouting’s final list of top-ranked North American skaters, while four netminders are among the top 31 North American goaltenders, with Ian Scott (Prince Albert Raiders, WHL) leading the way as the third highest-ranked goaltender. Stuart Skinner (Lethbridge Hurricanes, WHL) saw his draft stock increase, improving from ninth to fifth in the goalie rankings. RED DEER - The deadline to submit athletic therapist and equipment manager applications for Team Alberta’s Male and Female programs is Wednesday, April 5. One athletic therapist is needed for the Team Alberta U16 team that will compete in the 2017 Western Canada U16 Challenge Cup, while one athletic therapist and one equipment manager is need for the Team Alberta U18 female team that will compete in the 2017 National Women’s U18 Championships. For more information on the Team Alberta programs, click here. 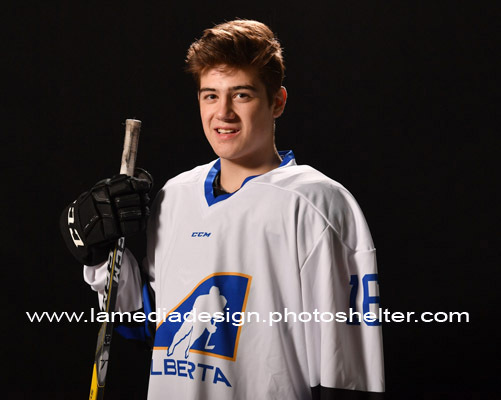 As Canada’s National Men’s Under-18 Team begins to assemble, three former Team Alberta players are among the first six players to join the team roster. Jaret Anderson-Dolan, Ian Mitchell, and Ian Scott will head to Etobicoke, Ontario, for two pre-competition games in preparation of the 2017 IIHF U18 World Championship, which runs April 13-23 in Poprad and Spisska Nova Ves, Slovakia. 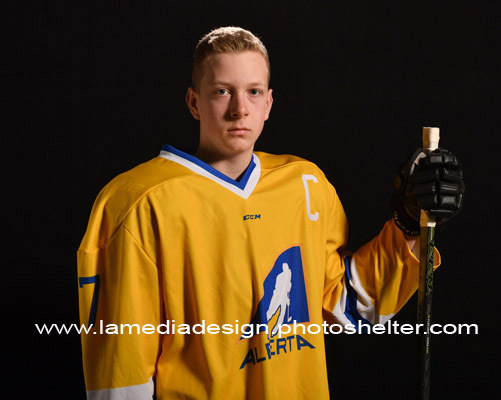 Another Team Alberta alumnus, Ty Smith, is one of the six under-aged players invited to take part in order to gain more international experience. All four players were a part of the Team Alberta squad that won silver at the 2015 Canada Winter Games. Smith, who played in the Canada Winter Games as an under-age player, also won gold with Team Alberta at the 2015 Western Canada U16 Challenge Cup. RED DEER - The third and final weekend of Hockey Alberta Provincial Championships, presented by ATB Financial, wrapped up on Sunday with five new champions being crowned. Teams skating away with gold medals were: Nanton Palominos (Senior AA), Wainwright Bisons (Junior B), Wheatland Chiefs (Midget AA), Okotoks Oilers (Bantam AA), and Bow Valley Flames (Peewee AA). Okotoks and Olds each hosted True Spirit of Hockey Days in conjunction with Provincials, celebrating a shared love for hockey and the community that supports the sport. As the Junior B Provincial champions, the Wainwright Bisons are now off to compete in the 2017 Keystone Cup, which runs April 13-16 in Arborg, Manitoba. The Junior A Provincial Championship will be decided through the Alberta Junior Hockey League Playoffs. The North and South Division finals begin on March 31. The Brooks Bandits and Okotoks Oilers are tied 1-1 in the South Division Final, as are the Fort McMurray Oil Barons and the Whitecourt Wolverines in the North Division Final. Alberta teams put forth a strong showing regionally on the weekend, as the Fort Saskatchewan Rangers earned a bronze medal at the 2017 Western Bantam AAA Championships in Saskatchewan. Meanwhile, the St. Albert Slash of the Alberta Female Hockey League punched their ticket to the Esso Cup, defeating Greater Vancouver at the Pacific Regional Championships. St. Albert will now represent the Pacific Region in the 2017 Esso Cup in Morden, Manitoba on April 23-29. Alberta will also be represented on the national stage on the male side, as the Midget AAA Provincial champion Leduc Oil Kings will compete in the 2017 Telus Cup, which runs April 24-30 in Prince George, B.C.